As defined by the government, an investment club is a group of people that buys and sells shares together on the stock market. There’s no official limit to the number of members in a club, but most tend to have 20 or less. This if often because 20 members is the most that a stockbroker will accept onto the same trading account. It doesn’t have any special legal status, but the government (especially the HMRC) has accepted ways of dealing with a club. It would be possible to incorporate a club as a limited company or limited partnership, but this would involve more paperwork for few advantages. So most clubs just operate as informal partnerships. In last week’s article we looked in detail at the legal status of investment clubs, and amateur investment advice in general. Some people worry about the idea of giving or taking advice from friends, neighbours and family. Others are concerned that pooling funds for investment amounts to setting up an unauthorised collective investment scheme. The only snag here is that it provides no incentive for anyone to organise and operate the club. The benefits to the organiser of a group (the Chairman)1 are more nuanced, as they have extra work for no pay. Finding and joining an existing club is not straightforward. It can also be hard to find an existing club. There is a National Register of Investment Clubs run by ProShare, but listing your club there is not compulsory. It might not be run in the way you would like. You need to look at (amongst other things) the investment strategy, risk profile, monthly subscription levels and location. Every investment club will need a bank account and a stock broker. 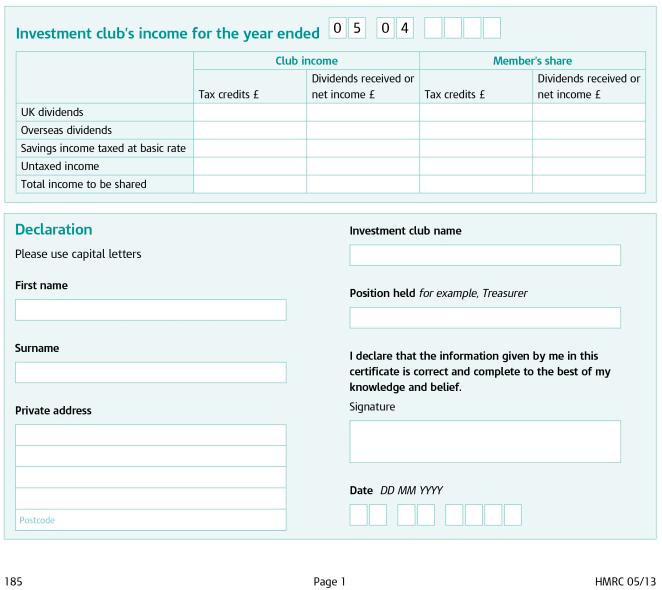 Lots of banks and building societies offer a “Community” or “Treasurer’s account”, designed for clubs. Often they are free on the understanding that there won’t be frequent withdrawals. Each member would have a standing order / direct debit into this account. Then there would be a monthly transfer to the brokerage account, to make that month’s investment. Every club member will need to be registered on the bank account. Normally two members will be identified who will co-sign for any withdrawals from the club account. There are fewer brokers that offer a club account. Let me know in the comments if you find any others. Some brokers may let members pay directly into an attached cash account, doing away with the need for a bank account. Whilst one signature (the Chairman) would be fine for trades, a second signature would be needed in this situation for withdrawals from the parallel cash account. There will also be a short contracts to sign, incorporating the club’s rules. We’ve covered the process of unitisation in detail here. So adding or withdrawing money doesn’t change the price of a unit. Although there are no special tax breaks for investment clubs, in practice you don’t need them. 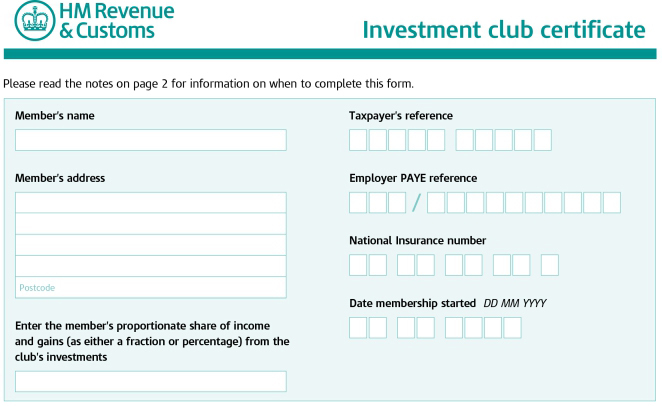 At the end of the year, the Chairman will provide an HMRC Form 185 or each club member. Astute readers will have guessed by now that I haven’t done all this research for nothing. I’m quite interested in setting up a club, and I want to find out if anybody else is, too. I’m under no illusions that I will be swamped by a tsunami of demand, but we only need a few people to get started. I would act as Chairman, but I would also invest alongside everyone else (to the maximum level that anyone else did). That way, if anything went wrong, I would lose as much money as anyone else. 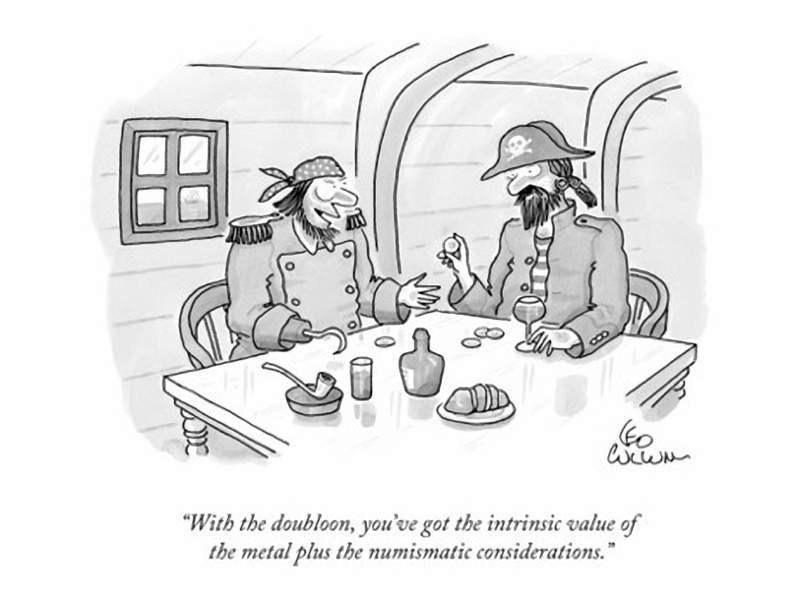 The investment strategy for these two groups would differ: the experienced investors would debate which stock to buy, while novices might follow a more passive approach (as discussed here). Novices and small investors would benefit from a level of diversification that they couldn’t achieve on their own. So there could be as many as four groups (or more likely, as few as zero). Meetings would be once a month, with a view to making a single purchase each month. this would probably be a standalone, password-protected free site from wordpress.com. This means that with max. 20 members, average monthly contributions will be £100. They would be responsible initially for research and then for tracking progress and news, obtaining annual reports and ideally attending AGMs. A mechanical selling rule would work best, so that most discussion is centred around the next purchase. With typical annual growth of 7%, £11.1K pa (the allowance) will cover a £159K share in the club. Note that this assumes that the gains are crystallised each year. In fact they can be timed to make the best use of everyone’s annual CGT allowance. The best approach with dividends would be to pay them out, since you can’t rollover your dividend allowance. Individual members could always put the money back into the club for re-investment. With typical yields of 3%, £5K will cover a £166K share in the club. 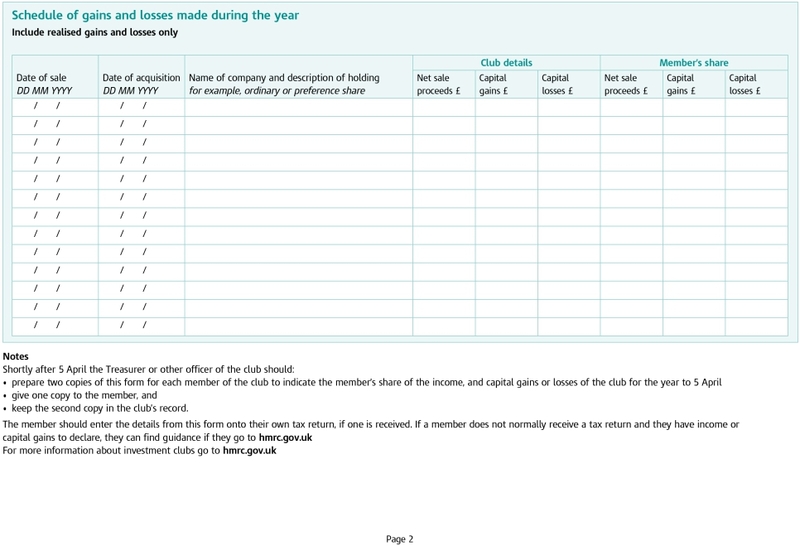 So there’s a good chance that the first £150K share in a club will not result in a tax bill on its own. With monthly contributions almost certain to be below £500 (and most probably below £100), such a stake would take many years to accumulate. Filling in the Form 185 by hand for lots of members looks like a pain. I’ll need to investigate if there’s a way of automating this, or substituting a computer printout for this form. I don’t believe that using the government’s form is mandatory. We’ll probably use PDFs that can be emailed to each member. If you have any interest in joining a club, let me know in an email (the email address is at the bottom of the left column on this page). If there’s any interest at all, I’ll write a follow-up article in a few weeks. Hi Mike, https://timetotrade.com/ have always had good functionality for investment clubs. They’re also tied to a broker now (not sure of the details) so I think you can have the actual broker accounts there as well. Did you ever find or start an Investment Club. I’m actually a member of one of the clubs advertised on the ProShare website – Black Monday Investment Club. We meet in London every 6 weeks or so and follow most of the rules you set out in your article; with the exception of weighted voting. We are a pretty diverse group and whilst making money is obviously the aim we also definitely do it for the educational and social (we meet in a pub near Bank). No – we barely got past 50% of the monthly contributions I was looking for to make it interesting. I’m still up for it if more people sign up. Thanks for letting me know about your club – I’ll drop you an email. Sorry to hop on and hijack his thread but I was hoping you may be able to offer some advice? Im looking to set up an Investment Club also with some friends and have had meetings, assigned roles etc but I’m struggling with opening a free bank account. A lot of information I’ve found says you can do this but I’m struggling to find one. Does your club use free banking or have you had to open a business account? Don’t worry, you’re not hijacking. From what I hear, a lot of the trad banks have tightened up in recent years. Places like the Co-op and Santander used to offer “community” accounts for clubs, but sometimes they won’t recognise an Investment Club as “Not for Profit”. It might be worth looking at some of the challenger banks, like Metro. Look forward to your Newsletter. Eager to learn. 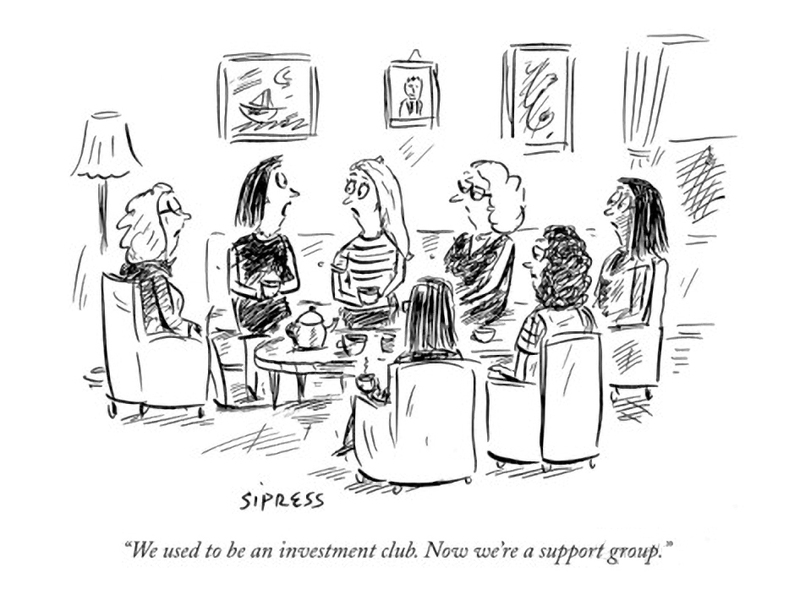 Today's post is about investment clubs. Is it worth joining one, or even starting one? Are they legal?